In this month's session, Joan from Birraire in Italy asks us to talk about books, specifically books about beer. 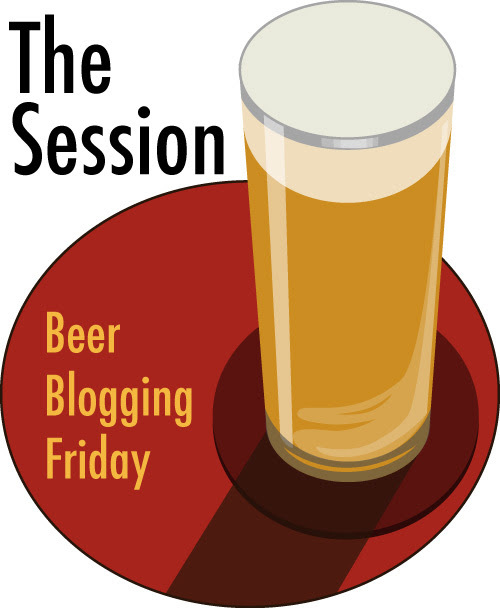 If you don't know what The Session is, it's just the first Friday of the month where someone hosts a topic and beer bloggers write about that topic. The host then does a roundup article a week or so later. More info on the Brookston Beer Bulletin here. I have to admit, I don't have many beer books. In fact, I don't think I have ever bought one myself. Instead, I have received them as gifts from family and friends. There is an exception though. Less beer books and more beer novels, I bought Pete Browne's books: Man Walks Into a Pub. Three Sheets to the Wind and Hops and Glory. They were brilliant! In terms of regular beer books, I don't have any that are indispensable. I also have a few I haven't finished yet. The latest one, a gift from Pauline, I have barely opened. That's because it specialises in cooking with beer so it's basically a recipe book. I fully intend to use it but just haven't had the time due to an overactive social life. It's very much a first world problem when there are so many events that I get invited to offering free beer and food. Are beer books a dying breed? Possibly, the internet is full of all of the information a beer nerd could ask for. In fact, this whole beer blogging thing is pretty much case in point. People read our drivel for free so why pay money for a book which has probably resulted in the death of a tree and all of that? Here's the thing, e-readers were huge a few years ago but now? It seems there's a backlash. People are rejecting this technology in favour of the humble book. After all, it needs no batteries to read it. Will we see a return of beer books? Who can say, all I can say is that it would be great if I finished my existing beer books.